Pablo Picasso lithograph poster "Affiches Originales"
Medium: lithograph (after the original lithograph poster). 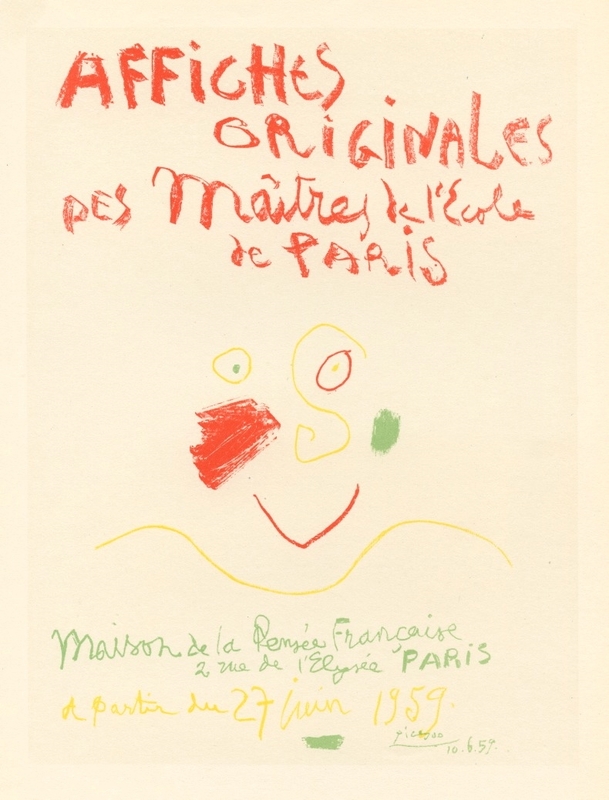 During the late 1940's and throughout the 1950's, Picasso created a series of posters at the atelier of Mourlot Freres. 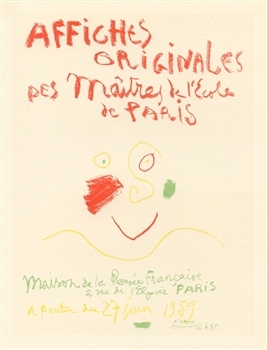 The lithograph offered here was printed by Mourlot in 1959, reproducing the Picasso poster in a smaller size. The total sheet measures 12 x 9 inches (approximately 300 x 230 mm). Signed in the stone, not by hand.